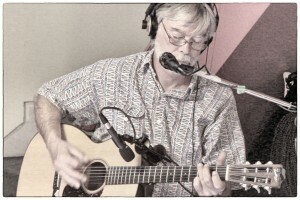 On Sunday, May 19th, Garth Douglas brought in a dynamic assortment of talent to record another single of his called “Anything Goes”. The group included Taivi Lobu on keyboards, Jason LaPrade on dobro, Dave Lang on double-bass, and Terry Campbell on drums. Along with Garth performing the acoustic guitar and then putting down a fantastic vocal track the following week, this song has really come to life and will hopefully be released soon. 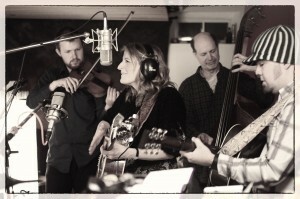 On Sunday, February 24th, Claire Lynch and her band visited Crave Music to record a live-off-the-floor podcast for The Silver Gadfly Folkcast. 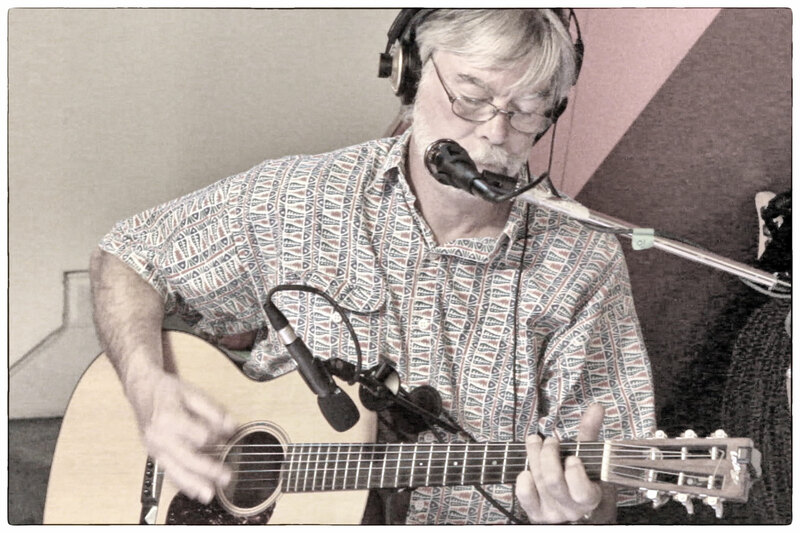 This was the first in a series of live, radio-style performance interviews to be recorded in the studio, adding to the previously recorded episodes, hosted by the folk musician and music producer, Garth Douglas. 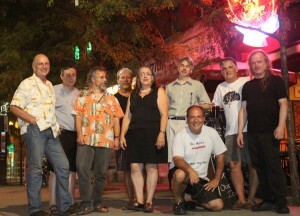 The band performed a number of tunes, including tracks from her upcoming release, scheduled for early Spring, 2013. Claire and her band were stellar in the studio, showing just how dynamic and intimate they can be, strutting their stuff through classic-sounding bluegrass and rousing fiddle/mandolin breaks. This spring, Crave Music is organizing an Artist Showcase & Fundraiser to help generate interest and resources needed to record and release a compilation album of independent artists. The goal is to raise enough money to cover the costs of releasing the recordings on CD and iTunes (as well as other online distributors), and showcase these artists to their fans, bringing their music into the mainstream. 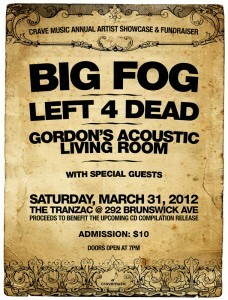 This year’s event will be held on Saturday, March 31st, at the Tranzac Club, 292 Brunswick Ave, just South of Bloor St., between Bathurst and Spadina. 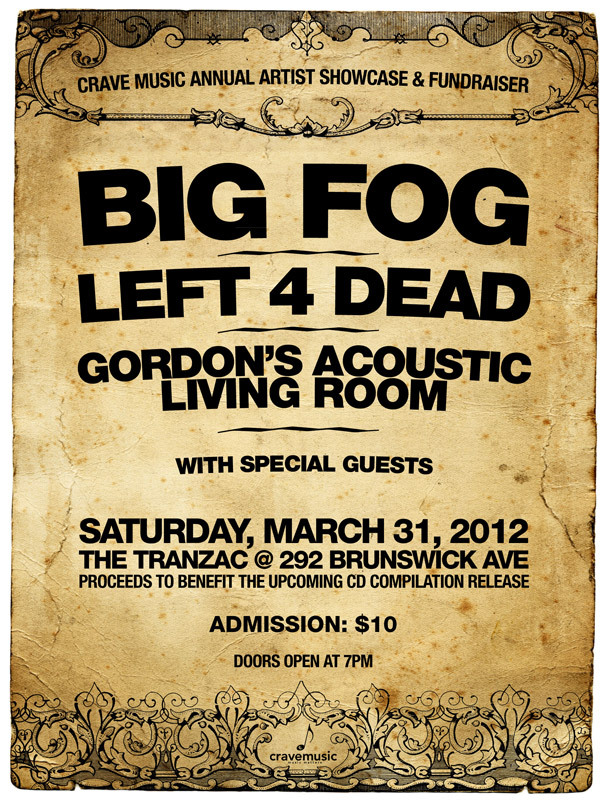 This venue is familar to most of the artists, as many of them participate in the weekly Tranzac Jam on Saturdays, but this show will be held in the big room, with a full stage and big sound to showcase their talents in front of the audience. Big Fog’s debut CD, “Midnight Sun”… is available on the iTunes Music Store! 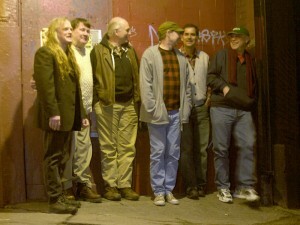 Midnight Sun, the debut album by Big Fog, showcases a unique Celtic fusion sound that blends traditional Celtic music with country, blues, and rock influences. 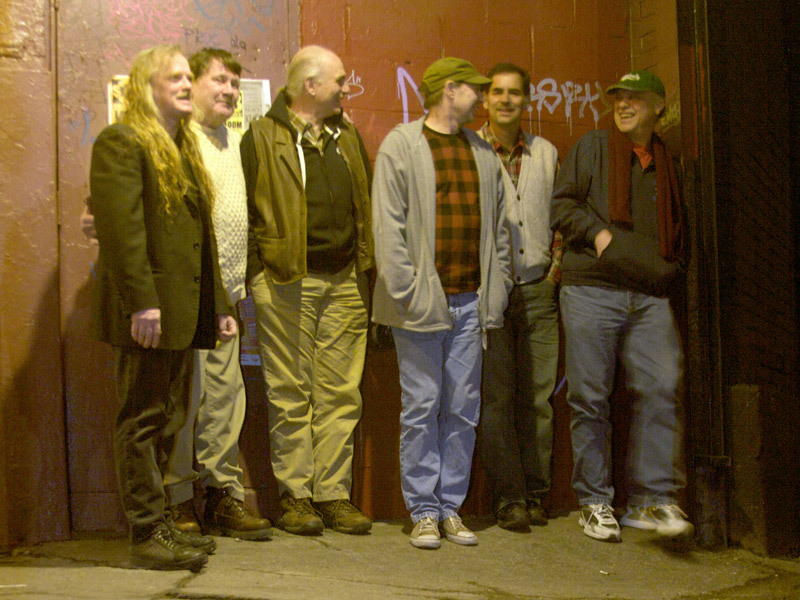 The album features seven original compositions along with the band’s interpretation of traditional Celtic and folk songs, and was produced under the talented guidance of John-Marc Hamilton.